Leaks can be caused by all kinds of things: poor construction or maintenance, corrosion, or ground movement are just a few. Aside from moisture in a floor, wall, or ceiling, some indicators of a leak are: running water sounds, noisy pipes, a hot floor, or your water meter moving when no one is using water. A small leak can lose dozens of gallons of water per hour, and have a devastating impact on your water bill. Given that California is currently enduring an unprecedented drought, such water loss is not kind to the environment either. The impact from a hidden leak can vary widely, depending on the location of the leak, its size, and how much time has elapsed before its repair. Even if it is caught quickly, a hidden leak can cause extensive property damage, and can produce a lot of moisture, which must be dried up. Moisture can damage drywall, cause wood to rot, and ruin floors, paint, or wallpaper. Leaking water can compromise your building’s electrical system and even start a fire. If the breach occurs in a sewer line, leaked sewage can cause bacteria and insect infestation, and other health hazards. Also, moisture can result in mold if not addressed quickly. Mold is highly toxic, and something that you want to avoid at all costs. One species of black mold is deadly to humans, and is impossible to remove once it works into a structure. If the problem is not addressed quickly, the health department will condemn the building for the protection of any potential residents or employees. In any case, disinfection is a service you should expect of any potential plumbing professional. If you call an amateur, they may know how to fix the problem, but they may not know how to remove bacteria and mold completely. Failing to do so would be a disaster; mold grows quietly in the dark, and doesn’t leave many clues of its existence, particularly if you’re not looking for it. 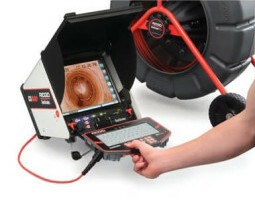 Detecting hidden leaks can be nearly impossible for an untrained homeowner. Many leaks exist in places that have no access point, and thus cannot be seen. Slab leaks in particular are buried underneath concrete. Also consider that water does not stay in one place; it seeps to the lowest point that it can. Finding water does not mean that you have found the location of a leak. Even if you can locate a leak in a difficult location, providing a proper repair is another matter entirely. Knight’s Plumbing can find your hidden leak, no matter where it is, and fix it – guaranteed. This is what we do, all day every day. Our plumbing professionals make use of the most advanced leak detection technology to find your leak in the shortest possible time, and in the least invasive manner. Minimizing disruption to your building is critical for saving you time and money, but it also is necessary for eliminating risk for our business. We have considerable incentive to making our repair operations as simple and streamlined as possible. By working smarter, we both win. Once Knight’s Plumbing locates your leak, you can count on us to provide several options for repairs, and quote you a flat rate. By doing our job with accuracy, we save you considerable time and money. Once we agree on a contract, our fully licensed and insured team will get right to work on your project. We understand that you need your home or office to be back to normal as soon as possible. We fully intend to win your trust by completing the task efficiently. After the leak has been repaired, count on us to clean up any water or potentially hazardous substances. That includes: moisture of any kind, sewage, bacteria, mold, or other hazardous substances that resulted from the leak. We do not cut corners on this step: we know how important your building is to you, and we will take every precaution to eliminate all traces of hazardous material from the repair site. In addition, Knight’s Plumbing will perform the necessary reconstruction. Our professionals have extensive experience and training restoring a building to its original function and aesthetic following a major repair. This is not easy! Our clients all have good taste, so we make every effort to preserve the interior design. No matter what kind of home or office we’re visiting, expect us to provide the same high level of respect for the interior, and for those who use it. 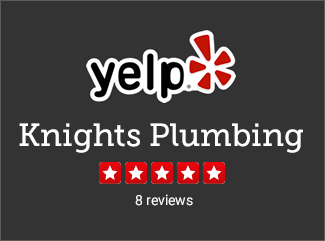 Again, Knight’s Plumbing stands behind all of the work we do. If at any point you are unsatisfied with our services, please call us to inform us of any situation. We take pride in our work and company. If there is an issue, we will make it right. If you experience a leak, or if you see any troubling symptoms, call Knight’s Plumbing at 714-476-5290. We’re available 24 hours a day, every day, and we serve all of Orange County from our central location in Orange. Call us, our service professionals will arrive clean and well-groomed, and will listen with attention and courtesy. We will go the extra mile to respect your home and office, and restore it to the form and function it was in before the leak occurred. Guaranteed.